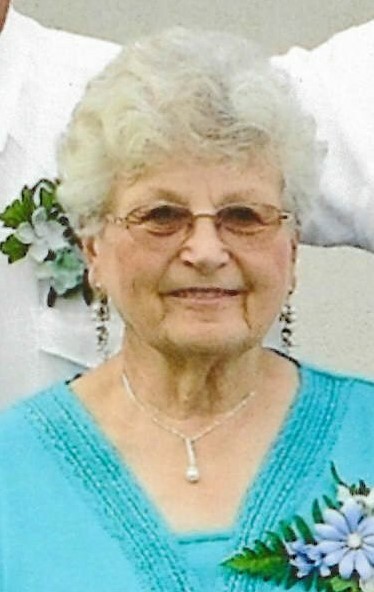 Judith Ann Johnson, 79, of Dietrich passed away August 11, 2018 at her home surrounded by her loving family. Judy was born February 24, 1939 in East Chicago, Lake County, Indiana to Clarence Erik Erickson and Vivian Isabel (Toyne) Erickson Romanski. She married Kenneth Lynn Johnson on June 9, 1973 in Driggs, Idaho with the Tetons and a backdrop of tissues and napkins built by their children blending the two families into one. She is survived by her loving husband of 45 years; daughter, Crystal (Clair) Hollibaugh of Dietrich; daughter, Sherrie Johnson of Pocatello; daughter, Tina (Bart) Reed of Pocatello; son,Chuck (Kristi) Cantwell of Eagle; daughter, Anna (Casey) McGehee of Shoshone; daughter, Colleen (Randell) Rosson of Kellogg; son, David (Michelle) Johnson of Dietrich; daughter, Kirsten (Brian) Rosa of Tremonton; 33 grandchildren, 41 great grandchildren and 1 soon to be great great grandchild. She was preceded in death by her parents; sister, Jeanette DeBaun; and daughter, Cheryl (Bob) Dains. Funeral services will be held at Noon, Thursday, August 16, 2018 at the Dietrich LDS Church with a viewing for friends and family who wish to pay their respects beginning at 10:30 am. Grave dedication will conclude at the Dietrich Cemetery. Her greatest joy and accomplishment was being a wife, mother, and grandmother.